All images copyright © 2002-2003 by Wm. Robert Johnston, unless otherwise indicated. 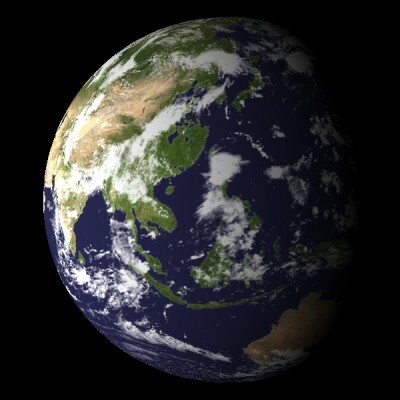 If the Earth's ice caps melted completely, the Earth might look something like this. Water-covered portions of mainland China and Bangladesh are visible. Note: this is NOT something to expect as a result of contemporary human activities or any natural climate change in the next few thousand years; see here for discussion. Starting with an Earth map from Visible Earth, I used maps from Cornell University's Digital Earth to depict a sea level 80 meters higher than today. Corresponding vegetation changes are not depicted. 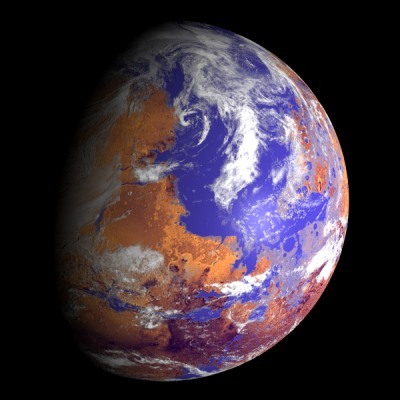 This view shows a hypothetical (partly) ocean-covered Mars. 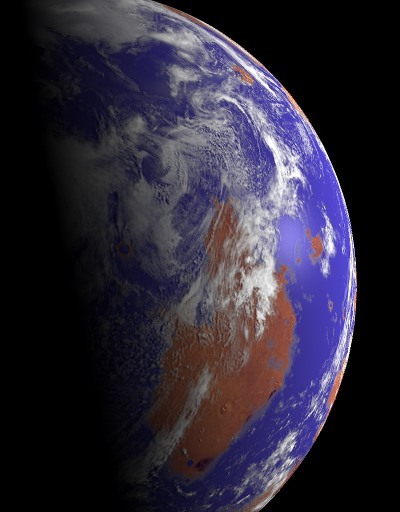 This could be considered a view during terraforming of Mars (it does not represent Mars as hypothesized early in its history, since the ocean do not correspond to such hypotheses). The Mars map is from the USGS Flagstaff web site, with oceans added based on elevation data from a USGS map at Solar Views and a cloud map modified from one at Visible Earth. The site Space-Graphics.com provided inspiration (and has textures for similar views). 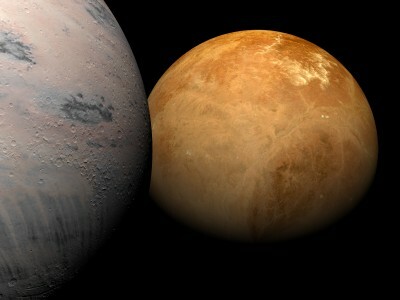 This is another view of the hypothetical "wet" Mars, described above. The maps are the same ones described above. A hypothetical planet--with a hypothetical moon in the foreground. The maps were derived from closeups of the Earth's surface, both from NASA's Visible Earth web site. The bump map for the moon is a version of the bump map for Mars from Space-Graphics.com. Copyright © 2002, 2003 by Wm. Robert Johnston. All rights reserved. Last modified 16 August 2003.